Justin was raised under the shadows of rock & roll and classic cinema. After studying film at Full Sail University in Orlando, FL, he returned home to pursue his dream of filmmaking by founding his motion picture company Malone Pictures. 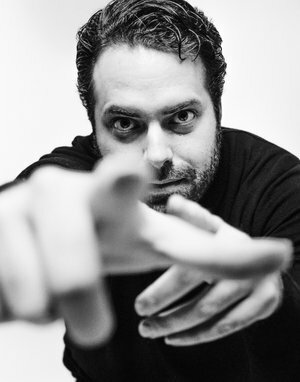 With over a decade of professional storytelling experience, Justin developed his film and advertising careers through an impressive roster of national commercial work as well as his award-winning documentaries: Hurry Up and Wait (2011), short-film, Blue (2014) and comedy-short The Bus Stop (2015). Currently based in Dallas, Justin’s projects frequently take him to cities across the globe, including LA and NYC. Also a leading name in advertising, Justin continues to create compelling campaigns through his commercial representation with Charlie Uniform Tango. A specialist in "the business of show business," he has provided production services or consultation for thousands of commercials and hundreds of film/TV projects. Curlin started Pinpoint Ideas & Solutions in 1994 as a broadcast commercial producers’ services company; it has evolved over the years based on industry needs. Throughout his career, he has guided advertisers, production companies and businesses directly, on ways to legally employ tens of thousands of independent artists & production crew professionals across the country.